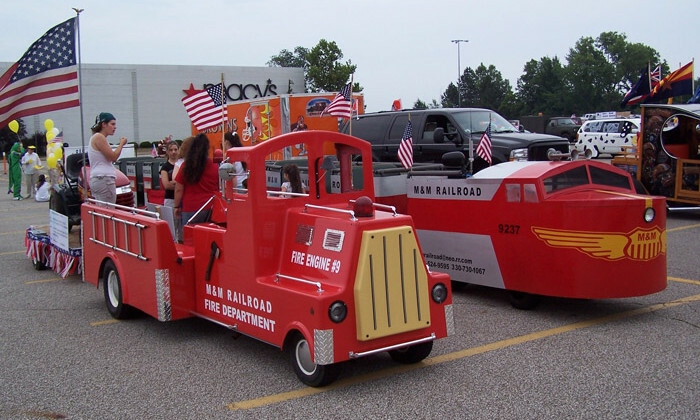 Our Fire Truck, like the trackless train, runs on gasoline and is limited to outdoor use. This unique truck is equipped with an authentic operating flashing light and siren! The truck’s headlights allow us to operate at night parties. If you are looking for a little emergency fun, then M&M is ready to save the day. Rest assured, we are fully insured for any unforeseen accident or problem. We are also registered with various cities and townships and have papers on file to operate at their events.